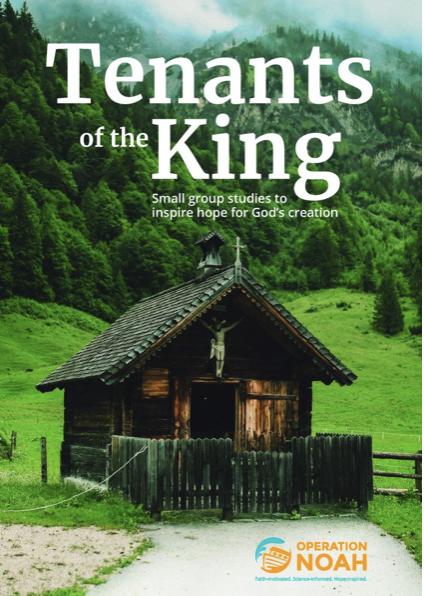 "Tenants of the King" is a new Bible-based, Jesus-centred resource from Operation Noah. This four-part study series is designed to help you and your church consider what the Bible has to say about today’s climate crisis. Through interactive group sessions, video interviews with leading Christian thinkers and insightful Bible commentary, this resource will help you and your church to reflect on the challenges of a changing climate, and how Christians can respond with hope to one of today’s greatest challenges. Study guide booklets complete with material for four hour-long group study sessions. Video interviews​*​ with experts including Rt Revd. Graham Tomlin (Bishop of Kensington), Rev. Mark Melluish (New Wine), Dr Ruth Valerio (Tearfund) and Dr Justin Thacker (Cliff College). In-depth Leaders’ Notes to help you lead your small group study.